Like many people, for the last few months I spent a considerable amount of time analyzing and writing about what we thought might happen Tuesday night. Watching Fox News (which was surprisingly less-than-friendly to pro-life Republicans) and CNN (which at times must have surprised itself by actually coming close to acting responsibly ), I was amused by how people just wrote their own preconceptions into their analyses which (like sportscasters calling a football game) changed with every change of possession—that is, as new data poured that invalidated what they had just announced from on high! As you know, in the House Democrats gained in the mid-to-high thirties range(very modest by standards of the last three decades). After the fact, as is the case with every election, the results are interpreted, and interpreted again, and then over-interpreted. But are there any generalizations we can make with some certainty? Many of the discussions zone in on the obvious. We are a closely divided nation, at least when it comes to voting, and perhaps beyond. What explains that? *For one thing Democrats had much more success in large urban areas and a number of suburban areas. Rural blue-collar America—“flyover country” to the dismissive elite which writes most of the political reportage—remained Republicans’ most loyal constituency. Red turf turned redder and the blue dots got bluer. The urban-rural split widened, a feat many prognosticators thought to be impossible. *For another, for all the talk about President Trump “nationalizing” the election, Democrats made advances largely by fielding candidates who, rather than running against President Trump, instead focused (as one Democratic operative put it) on “kitchen table, pragmatic issues.” Many were ingenious at muddling their pro-abortion positions, steering the conversation to local issues. * As we look ahead, it is important to remember that they are the very same media elite which wholeheartedly shares Hillary Clinton’s view that a large portion of President Trump’s supporters really are “deplorable.” Sometimes it’s obvious, sometimes more veiled. The test case for this cycle is pro-abortion Sen. Claire McCaskell whom pro-life Missouri Attorney General Josh Hawley handily defeated. One has to wonder in retrospect, though, whether it was wise for her to spend as much time as she did barnstorming through deep-red rural Missouri. McCaskill’s Twitter feed is a long stream of photographs of her in low-ceilinged, fluorescent-lit meeting rooms, explaining to a few dozen usually older voters that she had delivered, and delivered for them, and would keep delivering if reëlected. “Low-ceilinged, fluorescent-lit meeting rooms.” Wow! The only thing he forget were the cigarettes. The better part of the Democrats’ complicated history is their long-term advocacy for people whom the market economy has left behind. If the Democrats become the party of college-educated suburbanites, who’s left to fight for such people, as opposed to offering up a series of cartoon villains for them to blame and to hate? Fighting for them, believing in them, is what Claire McCaskill went down doing. If Missourians believed that, she would be still be senator. *Of course, we’re told incessantly that the smart people vote Democratic and that (stop me if you’ve heard this before) they represent the “wave of the future”. A better way of understanding the divide is culture, beginning with faith, specifically religious attendance. Also, the results confirm that the Republican v. Democrat split correlates with how often Americans say they go to church. Overall, 63 percent of Americans who say they “never” attend religious services voted Democratic, while 51 percent of those who say they go a few times a month, and 61 percent of those who say they go once a week or more, backed the Republicans. In general, 57 percent of those who go at least once a month went for Republicans, while 56 percent of those who go less often voted Democratic. *One other thought, which brings many items together. With Democrats now commanding a majority in the House of Representatives, some pretend they will control their id. Nothing could be further from the truth. The party is more militantly pro-abortion than ever and assumes that history is on their side and, should it prove not to be, it will attempt to intimidate, often through surrogates. But, as Fox News’ Tucker Carlson, whose home was surrounded by menacing thugs Wednesday, said, “I’m not going to be bullied and intimidated,” neither will we. Tuesday night after Josh Hawley defeated McCaskill, he delivered some of the most thoughtful, encouraging remarks I can ever remember hearing. Hawley began, “Tonight the good Lord and people of Missouri have given us the victory.” Strike One against him. Strike Three. 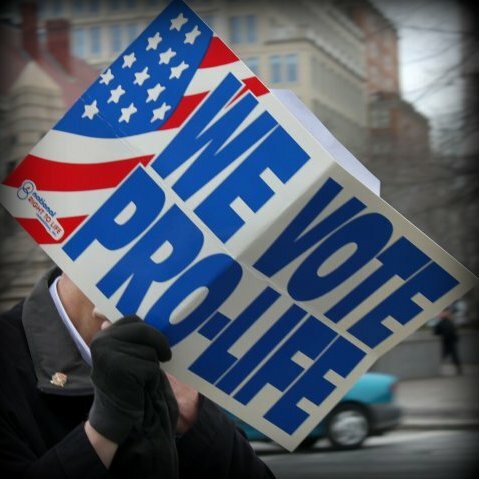 Don’t you pro-lifers, you cultural conservatives, you deplorables know your place? Actually, we do. And that includes taking back what pro-abortion Democrats took away three days ago.